When you're just starting a family or beginning to take on some of life's other significant obligations, it's important that you protect your family and loved ones with a life insurance policy. And, at these critical stages of adulthood, you should consider the best term life insurance policy that fits your needs. Capital Gate Insurance is a life, accident, and health insurance broker for Albany. At Capital Gate Insurance Group, we are your best choice for term life insurance options. We deliver our value by pairing the greatest benefits with the lowest possible prices. Choose Capital Gate Insurance to make sure you're getting the best term life insurance that works for you! The simplest form of life insurance has always been term insurance. As its name implies, it is purchased for a term of years generally extending from one-year (yearly renewable) term to a 30-year term. The cost of the yearly renewable variety is most directly tied to the underlying probability of death this year and is, as discussed in the previous section, perhaps the purest form of life insurance. Next year's price will be slightly higher if waited to purchase, and the progression will continue until some advanced age when it is generally no longer renewable at the insured option. We encourage our clients to execute a plan as early and soon as possible for this reason! The modern term insurance policy purchased for a specified period of years is almost always priced with an initial premium that is guaranteed and level. That level premium is simply a mathematical "smoothing" of what this year might be; example, $270 for a $1 million term policy to what 20 years from now would be; example $3,230 for the risk of death for someone who is then 20 years older. It should be noted that once the initial premium period has passed, the policy can generally be renewed annually at the discretion of the policy owner without further medical evaluation - but at the premium demanded by the insurance company (subject to certain contractual guarantees). These post-guarantee renewal premiums will typically start out at a significant multiple of the original, level premium. Actual premium structures for a multi-year level guaranteed premium may follow the model as described in the previous section, or may heavily discount the premium for the initial period and make it almost immediately unaffordable for renewal once the initial guarantee period has expired. 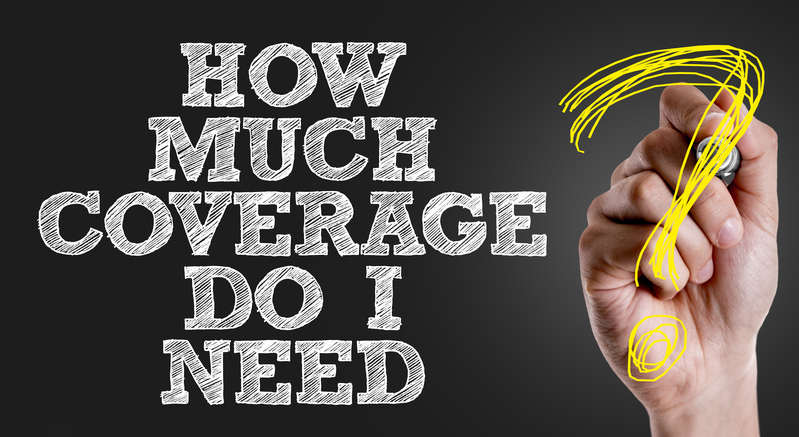 You can typically find a term life insurance rate that's much lower than other types of life insurance, which makes this a particularly attractive insurance product. Who Needs Term Life Insurance in Albany, Troy & Schenectady? Who is best-suited for term life insurance? Given the way a term life insurance policy is structured, it's typically best for those who have young families or want to protect their spouse financially. It's best to have a term life insurance policy that will satisfy your lifestyle as it is and also meet all of your financial obligations. For example, if you have young children and 20 years left on your mortgage, you may want a 20-year term policy. This will give your loved ones coverage to see that your house is paid off and that your kids are seen through high school and beyond into college. Many individuals and families find that they have a number of different needs for life insurance, transforming as their lives and financial and family circumstances evolve. Such needs include income (or human life value) replacement, estate liquidity, estate creation, special needs and charitable giving. The 33-year-old with a new family and a new mortgage is most likely not thinking about the retirement and estate planning uses for life insurance, yet many such individuals will find themselves ultimately confronting these issues in time inevitably. It's possible to imagine, for example, a couple with two high-paying professional occupations facing a well-defined budgetary crisis if one were to die prematurely - yet at that time having no particular problems with estate taxes, special needs, or motivation to bequeath a wing to the local hospital. Term life insurance will pay the specified policy amount to help replace the income that is needed to live the life style you chose. Alternatively, assume neither dies young, and their careers mature. Retirement will become a large part of their planning focus. At some point, assets will begin taking over the job of paying for the desired retirement lifestyle. The replacement of earned income is no longer a concern, but estate preservation, liquidity, access to cash values, special needs, and charitable concerns may now, to one extent or another, become part of financial planning in their maturity. The death benefit of a large term policy purchased to handle the contingency of premature death will now be needed for other long-term purposes, but the policy may - due to age, deteriorating health or risky avocations - become unaffordable (or unconvertible) to continue for any practical period. Transforming needs should ideally be anticipated - at least in concept - at the time of policy selection. Capital Gate can help you navigate and plan your strategy. It may become clearer with our other products as the major financial decision about purchasing life insurance is a decision of whether the individual and cumulative needs for life insurance exist for a lifetime or for just a certain duration of time. In this case a consideration for so-called "permanent" whole life insurance may be best suited for your lifetime needs. At Capital Gate Insurance Group, we are your source for term life insurance in Schenectady. We work each day with young individuals and families who are prime candidates for term life insurance in Troy. We can provide personalized guidance as you consider your options and search for the term life insurance quote that delivers the greatest value that will meet your needs. How are we able to deliver such great value to our customers? We work with a range of different life insurance companies to ensure you're getting the lowest price for the highest coverage with your term life insurance in Albany, Troy and Schenectady. We also emphasize customer service and delivering a superior experience as you make these important life decisions. From A to Z in insurance, let Capital Gate Insurance work for you! Get in touch and get a term life insurance quote today!